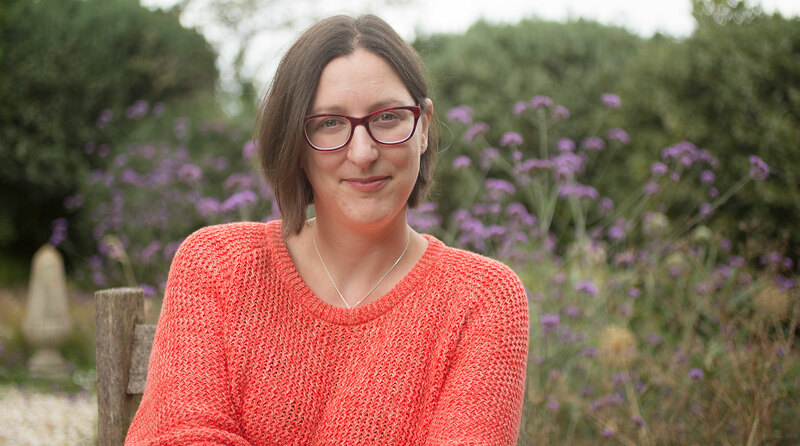 Hi Everyone and welcome to day two of Meet The Authors, where I introduce the person behind the book to it's readers. 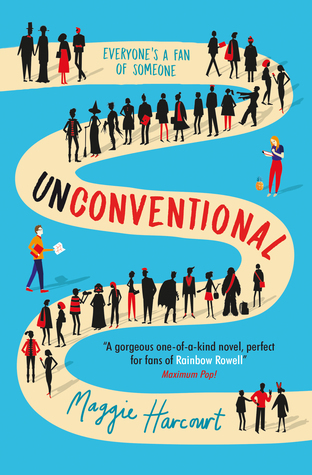 Today I have with me the LOVELY Maggie Harcourt whose sophomore novel, Unconventional, I got to read at the beginning of this year and it also turned out to be MY FIRST FIVE STAR READ of 2017 because it was the MOST ADORABLE THING IN EVER. It was the perfect book for all Fangirls and I HIGHLY recommend it! 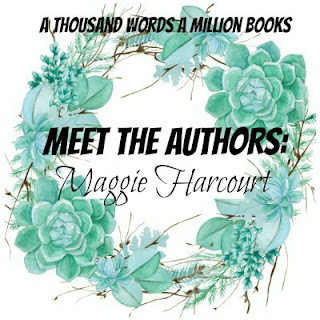 Maggie Harcourt is talking all about her Top 10 Unlikely Romantic Heroes (And Anti Heroes) and I hope you love all this post as much as I do! Jack Aubrey (the Master & Commander novels). The original Captain Jack is a lifelong sailor in the Royal Navy during the Napoleonic Wars. Knowledgeable, brave and smart, he enjoys music - and is a keen musician himself - often playing duets with his friend, ship's surgeon Stephen Maturin - and is good at what he does. He hates the sight of blood and has a terrible habit of using too many proverbs in conversation… most of which he gets wrong, constantly baffling Stephen. But it's this, and his generally good heart, which makes him loveable. Aragorn (the Lord of the Rings novels). It's all very well saying that Aragorn is a perfectly likely romantic hero by the time we've got to know him… but think back to the very first time he's introduced. Back then, all we know is that he's a "strange-looking weather-beaten man" with muddy boots and a dirty cloak. Even when we see him more clearly, "a pale, stern face" and "a shaggy head of dark hair flecked with grey" isn't exactly promising… but then, he's Aragorn. Remus Lupin (the Harry Potter novels). Who couldn't love Remus Lupin? Infected by a werewolf in childhood in revenge for his father's beliefs, he became one of the Marauders at Hogwarts - a connection which would last his whole life. Brave - but absolutely broke (although never broken) because of his condition - he was also clever, kind, warm and open-hearted. Edward Ferrars (Sense & Sensibility). On the one hand, Edward might appear to be a bit of an idiot - he doesn't always make the choices we want him to make (or even the ones he wants to make…) but he's loyal, and it matters to him that he keeps his word. Not particularly handsome, really rather shy, he's perhaps not the guy who will sweep you off your feet, but the one who will - somehow - find a way to be there when you need him the most and expect him the least. Jareth the Goblin King (Labyrinth). You might not think that a baby-stealing, petulant goblin prince who would be particularly romantic. When he's played by David Bowie, you'd be wrong. Jareth knows what he wants, and he'll do just about anything to get it (rearrange time? Tear down his own city? Promise the world? Sure - why not?) And if that thing just happens to be you… how could you refuse? Jonathan Strange (Jonathan Strange & Mr Norrell). Jonathan Strange is a layabout. Jonathan Strange is a pupil. Jonathan Strange is a soldier. Jonathan Strange is a husband. Jonathan Strange is a rival. Jonathan Strange is an acolyte. Jonathan Strange is a madman. Jonathan Strange is a master. Jonathan Strange is a curse. Jonathan Strange is a friend. Jonathan Strange is a magician. Jonathan Strange is maybe unlikely, maybe not always a hero… but the idea of him, at least, is always romantic. John Rokesmith (Our Mutual Friend). Talking about John is… tricky. Partly because like so many Dickens characters, he's more complicated than he at first appears, and partly because he's so central to the plot of Our Mutual Friend that it would take an essay to cover him in any proper detail - one that would almost certainly give away the ending. But it's enough to say that in a novel where the themes of money and love constantly interact, John is trying to do the right thing; not just for himself but for the people around him. His methods might occasionally be, shall we say, 'questionable? ', but his heart is in the right place. Mostly. Athos (The Three Musketeers). Athos can be sullen and taciturn, but underneath his brooding exterior - if you can get him to sober up long enough - you'll find a fiercely loyal friend and an inspiring leader. Loved by his allies and hated - but still respected and feared - by his enemies, Athos is occasionally the most sensible of the Musketeers. He's certainly one of the most famous… or should that be 'infamous'? Either way, he's a man you'd want on (or by) your side. 'Cousin' Matthew Crawley (Downton Abbey). Matthew Crawley has to be a bit of a wildcard: often stubborn and with a tendency to be pompous, there's still something about Matthew. And it's not his enormous inheritance (not entirely, anyway…) but rather his wit and arch sense of humour - as well as his determination and single-mindedness - that makes him probably the most likely of the 'unlikely' romantic heroes on this list after all. Who you some of your Top Unlikely Romantic Heroes or Anti-Heroes? Do you agree with any on these list? 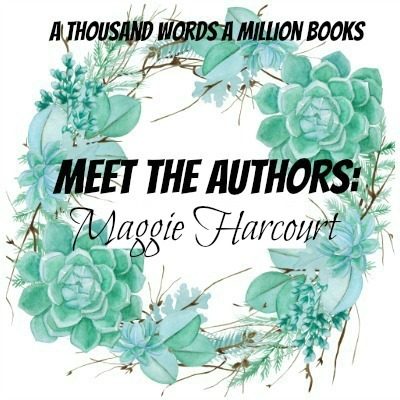 Do say Hi to Maggie and check out her book, because trust me, IT IS ADORABLE!